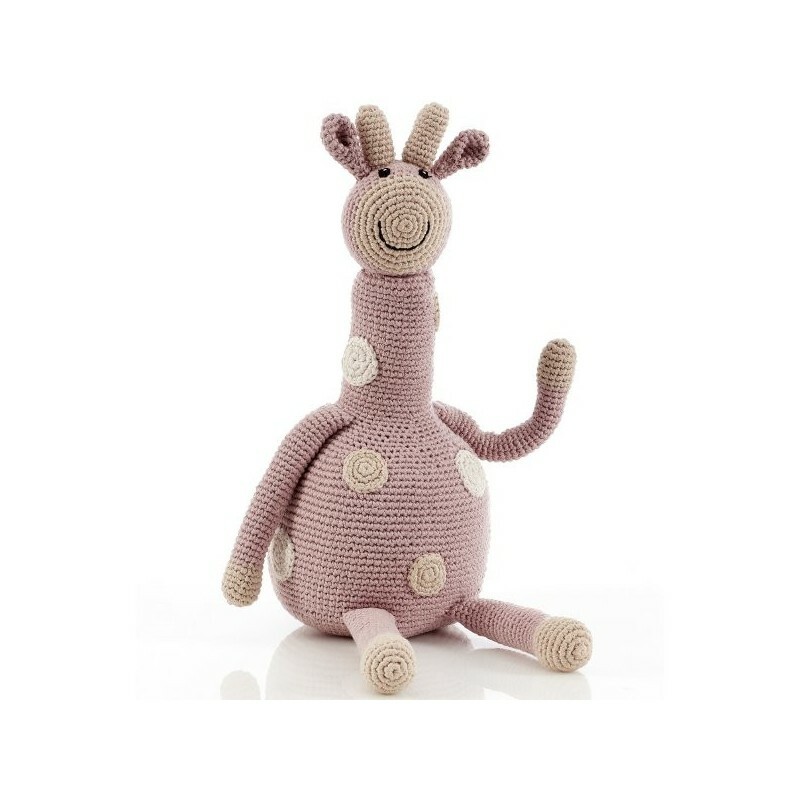 Support rural women and their families in Bangladesh by buying a soft, organic, handmade toy! Made from crocheted cotton, these colourful animals make for great play and relaxation. Pebble is a Fair Trade, non-for-profit organisation, committed to providing fair and flexible employment in rural areas. Large size. Dusty Pink colour. World Fair Trade Organisation guarantees that Pebble is Fair Trade. You're supporting a non-for-profit organisation that gives rural women in Bangladesh fair, flexible & local employment. Cotton is Certified Organic by the Control Union Certifications of The Netherlands - so no chemicals went into the environment when the cotton was grown. 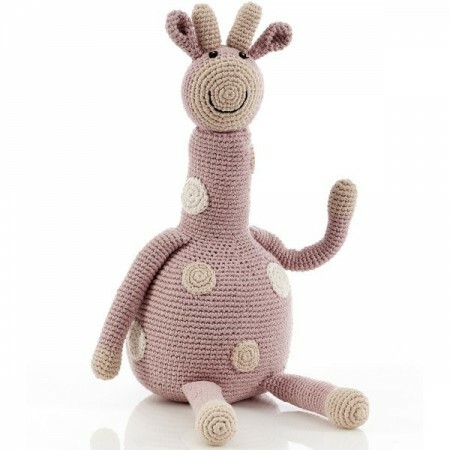 A large, pink giraffe with spots and a smile. Soft toy with no detachable or small parts (except for the tags). Long limbs and neck to create fun play, all without the screen. 100% organic cotton, 100% polyester fill. Browse our other Educational Toys & Books.